If you or someone you love faces DWI charges or some other driving while impaired legal issue or criminal charges in North Carolina or South Carolina, we hope this webpage helps you. 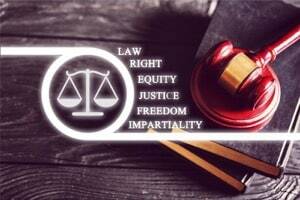 It makes sense to get information about defense attorneys and legal representation. There are some important “next steps” to work through, including finding and retaining a criminal defense lawyer with the requisite trial skills, professional reputation, and compassion to help you through this difficult time. Things happen as a result of DWI charges, including an arrest record, revocation or suspension of driver’s license, and loss of employment for some people. Obviously, each case is different. Of all the DWI DUI FAQs we are about to share, it’s important that you recognize this from the outset: Your case and criminal charges are unique in many ways. 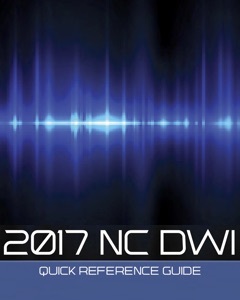 There are important differences between impaired driving charges, both in the NC DWI laws and the South Carolina DUI laws. You may have been arrested, while others were only issued a criminal citation or what lawyers may refer to as a UNIFORM CITATION. 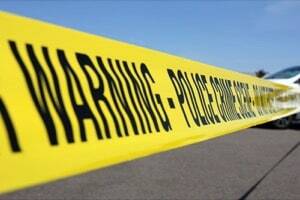 There may be pending blood results as a result of a search warrant, or blood sampling at the hospital. Some people accused of impaired driving may have been marked down as a “willful refusal,” for failing to submit to DWI breath tests, blood draws, or urine collection / sampling. Other people charged with impaired driving gave a DUI breath sample for alcohol and blew over (or under) the legal limit. Because of an arrest or charge related to DWI tests, law enforcement may have seized your license. And still others facing DWI charges continue to drive without suspension of driving privileges (DWLR), even after a breath test, DWI blood test, or other authorized DWI test. Impaired driving charges are both complicated and serious. The potential long-term implications, if convicted, to your life, your license, your job, and your ability to provide for yourself and your family may seem overwhelming. That's entirely normal and understandable. Our law firm and criminal defense attorneys know going in, and as part of legal representation, there is a LOT on the line. That's why we make great efforts to be patient, to listen, and to provide sound legal advice when it comes to allegations of criminal charges, whether they are for DUI, DWI, or some other criminal defense matter. Frankly, even being charged with DWI or DUI can be a big deal for people in certain professions. Because of that, we encourage you to ask questions, to do your homework, and use this website as a source of information. We’re here to help. We don’t charge for legal consultations for DWI charges. We encourage clients to come in and meet with us in person. We want to build a relationship with you. We care about our clients on a personal level. Let us take on the substantial burden of facing criminal charges and navigating the criminal justice system for you. It’s entirely normal to be anxious. Everyone understands how serious DWI charges are, even if they don’t understand the criminal court system or know what to do. 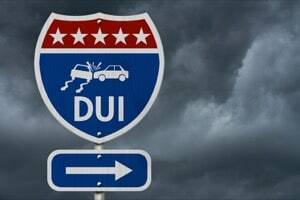 For SC DUI Charges: What are the DUI Laws in South Carolina? The best legal decisions are made when you possess information. DWI charges are not going to simply disappear. It therefore makes sense to address your legal issues head-on, which includes seeking experienced legal representation from a defense lawyer, and a law office with a reputation for working hard, integrity, and dedication to detail. 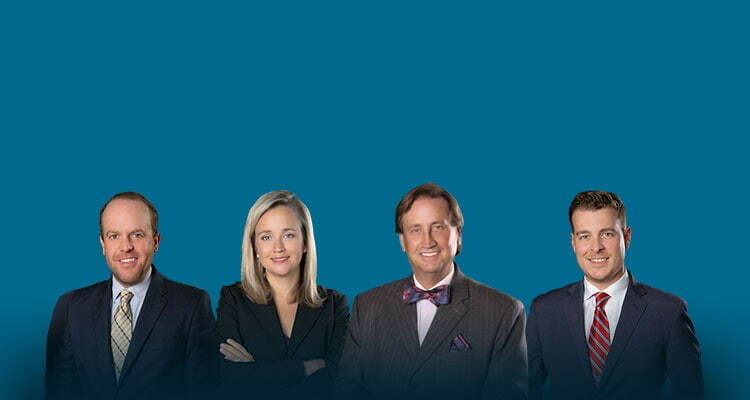 Above all, our law firm and defense attorneys always endeavor to treat people with dignity and respect. We are here to help you, not judge you. We follow the Golden Rule, treating clients the way we’d want to be treated if we were facing criminal charges and needed a defense attorney for legal representation. We will share the best-case and worst-case scenarios of your case. We will provide an honest assessment of your DWI charges and your legal options. We do our homework. There is no substitute for hard work and preparation. We look to win, understanding DWI charges are complex, difficult legal issues. We will always share the good and bad about your legal matter, looking out for your best interests. We charge flat rates based on the work to be performed. We guarantee our rates and will put them in writing for you. We accept payment plans and structured fee agreements. DWI charges are serious criminal matters that deserve the attention to detail, preparation, and advice from an experienced defense lawyer. Call now for answers to your questions. Is the Roadside "Breathalzer" Reliable? 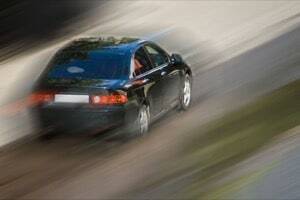 What is a Pre Trial Limited Driving Privilege? What is an Ignition Interlock Device or "Blow and Go?" What is Probable Cause in DWI charges? What are Miranda Rights and DUI? Question 1: What is DUI? What is DWI? What is impaired driving? Each state has their own impaired driving laws. There are several different ways of referring to impaired driving and the DWI laws. 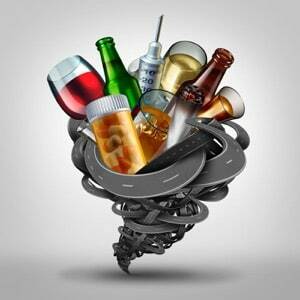 The general public commonly refers to impaired driving charges as "drunk driving" or "drunken driving." What impaired driving is called is to some extent a matter of semantics. Put simply, it is illegal to operate a vehicle while impaired, intoxicated, or subject to an impairing substance or "alcohol impaired." You personally may have always heard it referred to as DWI Driving While Impaired or Driving While Intoxicated. Indeed, NC DWI charges were for a long time called, DUI or Driving Under the Influence. That was until the NC DWI laws changed, to include a broader description of the criminal offense. Sometimes people still use the term "DUI" for Driving Under the Influence, "OUI" for Operating Under the Influence of an Impairing Substance or Intoxication, or "OWI" for Operating While Impaired or Intoxicated. Again, each state is different. In North Carolina, DWI charges stand for Driving While Impaired, due to alcohol or other legal or illegal impairing substances such as marijuana, benzodiazepines, cocaine, etc. 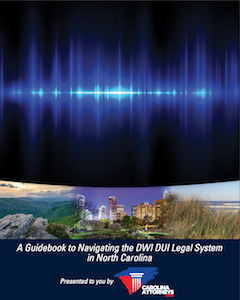 The NC DWI laws are specifically set forth in N.C.G.S. 20-138.1 . Question 2: What is the Legal Limit for Impaired Driving? This is a commonly confused legal issue in the criminal justice system. That is largely due to a misunderstanding of impairment, the DWI laws, and what that all means. It also is to some extent a misstatement of the criminal laws and what in fact is legal and illegal. It is very important to recognize DWI charges (and DWI convictions) or DUI charges / DUI convictions, depending on the particular state's DWI laws, do not demand a certain over/under reading. The DWI laws are written in a way to provide the Judge or in some instances the Jury (the Finder of Fact) different options. While a number or "BAC" may be important, it rarely is the sole basis for criminal charges or allegations of impaired driving. That's because there is more than one way to be "impaired." It does not always require alcohol or the consumption of alcoholic beverages. Indeed, you do need to be "drunk" or "drunk driving" or "drunken driving" to be charged or convicted of "impaired driving." That sometimes results in an over-reliance on the importance (or non-importance) of BAC in DWI cases. In every state in the nation, the “legal limit” for Driving Under the Influence of alcohol is technically .079. A BAC Blood Alcohol Concentration (or Content) or BrAC Breath Alcohol Concentration (or Content) of 0.08 is said to be, “legally sufficient” for a jury to convict someone accused of DWI. But, a jury is not required to convict solely on a numerical figure, BAC, breath reading, or blood result. The so called “per se” limit is a misnomer. It is important to note that breath results relating to BAC or BrAC, or blood testing for DWI cases, are not the only methods for testing the concentration of substances. Urine tests are allowed in many states, including under the North Carolina DWI laws. Juries can convict with a BAC of less than 0.08. Juries can also acquit people accused of driving while impaired with a BAC or blood result of 0.08 or more. To make a blanket statement that juries must convict you for impaired driving, based solely on the numerical reading, BAC, breath or DWI blood tests, exposes a fundamental misunderstanding of the DWI laws. As a fundamental aspect of our Constitutional Rights, including the Right to a Jury of your peers and Jury Trial, it has always been up to the jury to determine what to believe or what not to believe. Juries, as the Finder of Fact, are charged with the duty to determine what weight to give any piece of evidence or not give a piece of evidence at trial. . .including whether to believe the results printed out on a "breathalyzer," Intoxilyzer, Intoximeter, Datamaster DMT machine in South Carolina, or other DWI breath test machine. If that were not the case, we would not need judges or juries to determine guilt or innocence. People accused of DWI charges would be convicted in the breath testing room without a trial. Question 3: Are DWI charges felony or misdemeanor criminal charges? Is driving under the influence a misdemeanor? Can DWI be felony charges? Habitual Driving While Impaired Charges and Felony DWI. Normally, driving while impaired or DWI charges are misdemeanor criminal charges. There are important exceptions and legal considerations. Impaired driving charges (DWI) can be felony criminal charges. That normally would be related to something called "Habitual Impaired Driving." Of important note, there actually is something referred to as "Habitual Habitual" criminal charges, where the Felony DWI charges in NC (Habitual Driving While Impaired NCGA 20-138.5) is the predicate felony offense for Habitual Felony Charges in North Carolina under NCGS 14-7.1.